"Trying to contain a hurricane," is how Briana Blackett describes life as the sole parent of two boys with autism. "Max can just out of nowhere start screaming, like horror film screaming, pinching himself, biting himself, throwing himself on the ground," she said. "I have to decide which child to go to, the child who is hurting himself, or the child who emotionally is so traumatised by this that he's trashing everything." 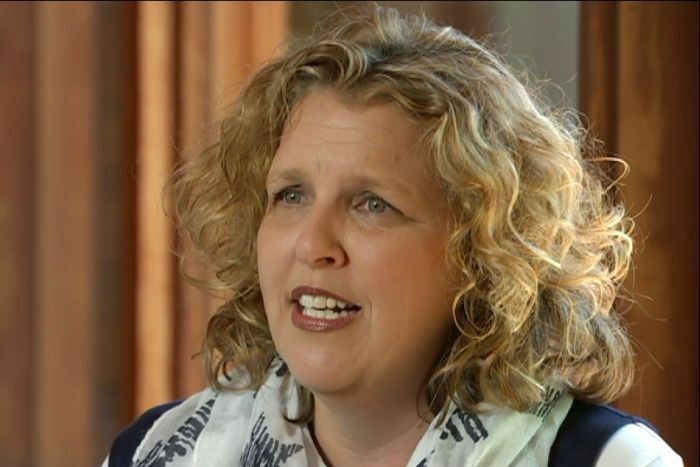 When the National Disability Insurance Scheme (NDIS) was introduced, she had high hopes. "I thought it was going to be amazing," she told 7.30. "I thought, finally a service that acknowledges what us special needs families are going through and what we need." The Productivity Commission has just completed a major inquiry into the NDIS and its recommendation are about to be made public. Ms Blackett said her family is worse off than they were before joining the scheme. 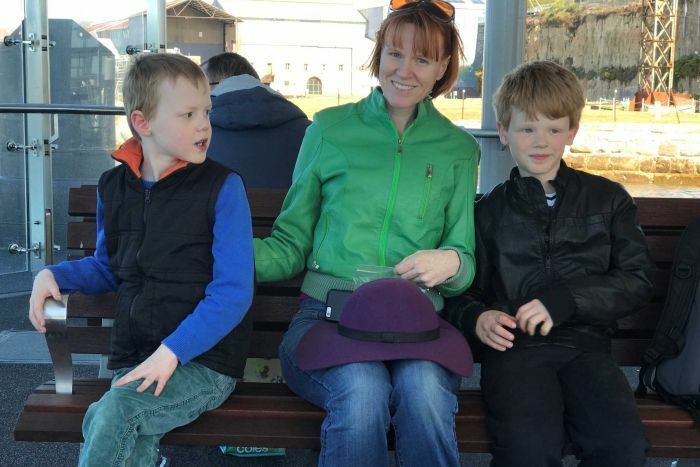 After initial meetings with a planner she was offered less respite care, and inadequate funding for therapy sessions she said her sons need. "Freddy got enough funding for about two months of therapy and Maxie got enough funding for 4-5 months," she said. "Either way, it's not a year's worth. "If this was an illness you wouldn't say, 'We'll give you some of the medicine and give you the next medicine the following year'. "You would give the medicine you need to treat the illness. "Disability needs the therapy it needs to overcome the challenges." 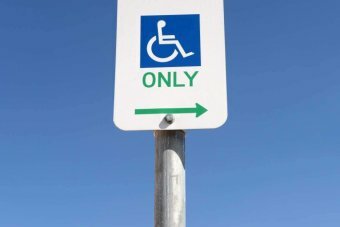 What are your thoughts on the NDIS being "rockier than it needed to be"? Have your say in the comments. The $22 billion NDIS is an ambitious scheme. "Everyone, absolutely everyone, wants the NDIS to work," disability campaigner with Every Australian Counts, Kirsten Deane, said. "[But] you would have been really naive to think you could roll out such a big and groundbreaking reform and not have any teething problems." The full rollout began 15 months ago, and as many as 100,000 Australians are now signed up. The NDIS offered the chance for people with disabilities to be involved in the formulation of an individual support plan, designed to meet their needs. For many people it has worked, providing life-changing support, but for others with disabilities and their families, it has been a frustrating, disheartening experience. "I don't think anyone thought this was going to be easy," Ms Deane said. "The really big question is, has the road to the NDIS been rockier than it needed to be? "And the people that we talk to, the people with disabilities, their families, service providers say the answer is yes, it's been rockier than it needed to be. "The question is now, what's going to be done to fix it? "People don't want to do their NDIS plans over the phone, they want to speak to a real person, they don't want to feel rushed, they also want to talk to a planner who they feel is experienced with people with disability." Ellie Robertson describes her NDIS experience as a "nightmare from the very start". 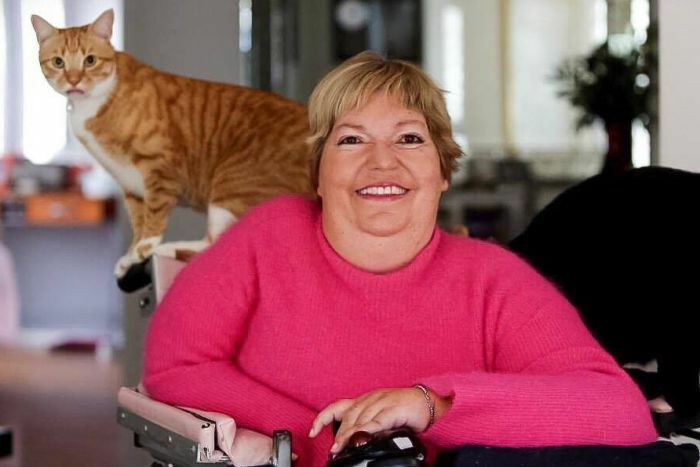 Ms Robertson suffers from a degenerative condition called spinal muscular atrophy. She is in a wheelchair and needs help with almost everything. She desperately needed longer hours with a disability support worker. "The care that I was getting earlier was to help me get out of bed and shower and change, but now I'm needing care throughout the day, such as helping me set up my laptop, scratching my head, getting a drink, going to the toilet; it's a constant care thing," she said. After nine gruelling and stressful months, she finally has the help she needs to be as independent as possible. "I felt like I was just a number and an inconvenience really," Ms Robertson said. "A lot of people with disabilities are easily intimidated, they feel like they're a burden. "They feel like if they speak up, we're going to look demanding or whingy. "I'm not enjoying my disability, but the reality is I have needs and the only way to meet those things is to have my disability support worker with me." Maryanne Diamond from the National Disability Insurance Agency (NDIA), which funds and administers the NDIS, is aware of the problems. "I still have great aspirations that we will get where we need to go, but recognising there's a few bumps along the way," she said. "We don't just turn on a switch on day one and everything works perfectly. "Almost all plans are now being done face to face because that was a very loud and clear message … that people felt like it was a bit transactional. "They wanted to have a relationship with somebody and work through their plan together. "We are providing some training and looking at the recruitment of planners, of people who have a lot of experience with the disabilities." The NDIA today announced new systems designed to "significantly improve the experience people and organisations have with the groundbreaking NDIS". Over the past year the Productivity Commission has been conducting an inquiry into the NDIS. It received hundreds of submissions, many pointing to problems with communication, training and planning. It is expected to hand down its recommendations tomorrow. Ms Deane is urging governments and the NDIS to respond to the Productivity Commission's recommendations. "We need to fix the short term stuff now but we also don't want to take our eye off the ball in the longer term … cause the success of the scheme needs to be determined by what it does for people with disabilities, not how well it serves governments," she said. Ms Blackett is still fighting for the support she and her sons need. "To have the agency created to give these boys opportunities in life turn around and basically make you feel they're not worth it, it's soul destroying," she said.